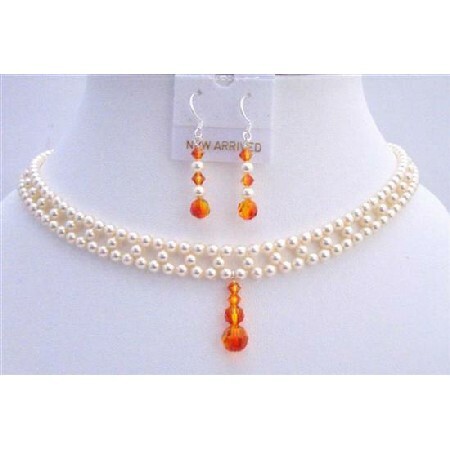 Jewelry of Pure & White Pearls 4mm with Fire Opal Crystals elegant jewelry with a more sophisticated look perfect for wedding party or any occasion. Handmade Exquisite Choker Necklace. All A Grade & Material are used to make this beautiful Necklace White Pearls 4mm Artistically Handcrafted The design is handmade dozens of lustrous sparkling White Pearls 4mm & it look beautifull for any women to wear & look sophisticated.